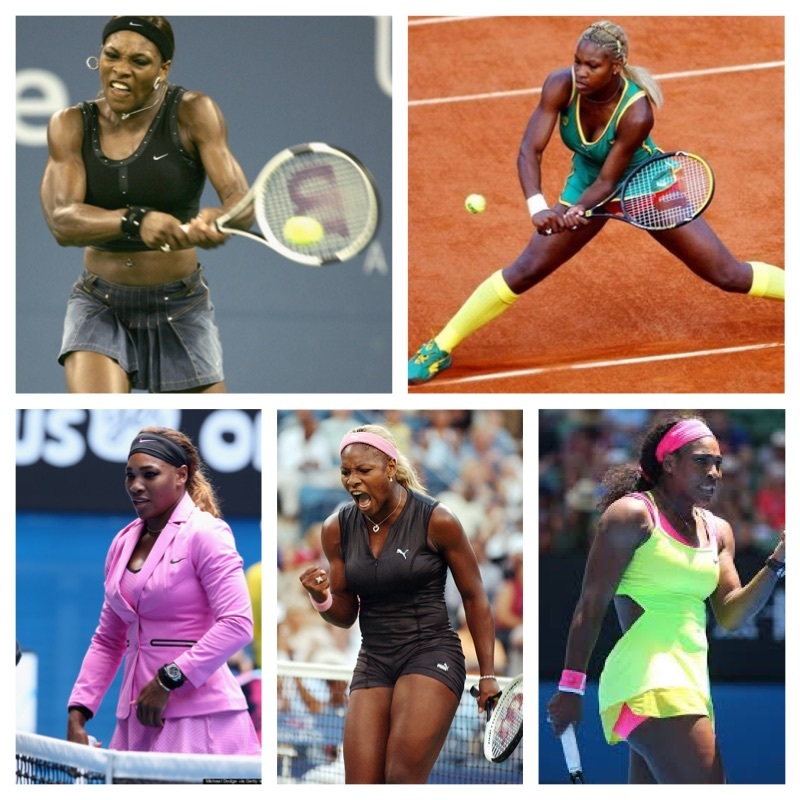 Until recently, Serena Williams was the torchbearer for wacky on-court fashion. You name it, she’s donned it — denim, leopard print, a leather catsuit, cut-out dresses, school blazers, at one point even something resembling an Australian hockey uniform. Enough outfits to do Beyonce proud. Not to be outshone, sister Venus once played in a corset. Not her finest hour but it did mean she could go to a nightclub afterwards, or become a back-up dancer for Madonna, without changing outfits. In the men’s game, there hasn’t been anything that’s come close to these fashion statements, with the possible exception of Andre Agassi’s eighties rock god look, complete with Jon Bon Jovi wig. 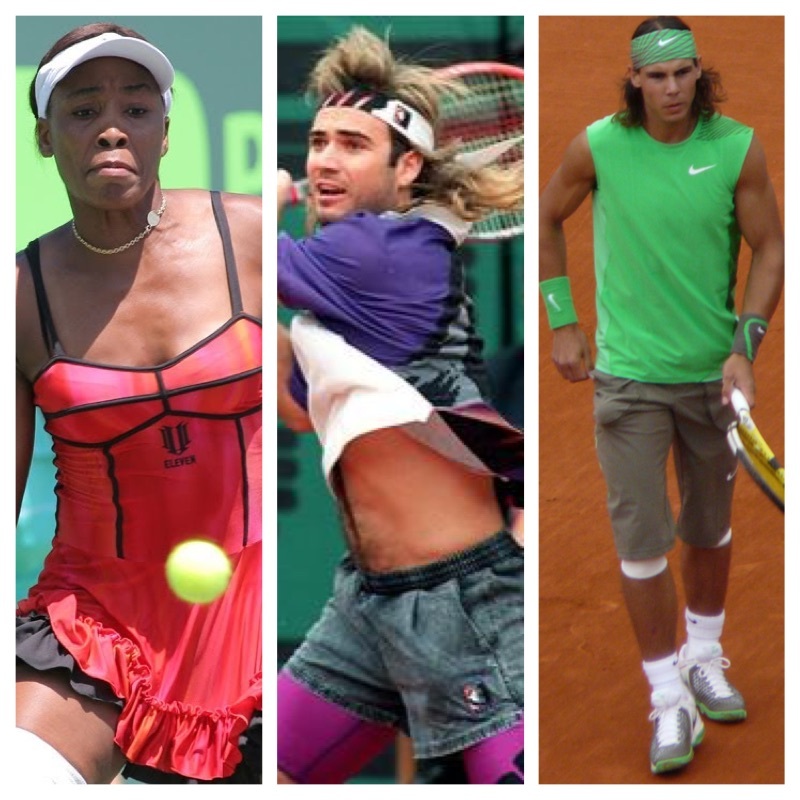 And let’s not forget Rafael Nadal’s long-time buccaneer impersonation. Poor bloke, he still can’t find a pair of shorts that he doesn’t have to fish out of his bum every point. Admittedly, there are only so many things you can do with shorts and shirt. But this year, the men have started to get a bit more adventurous with their tournament kit. First, there was the fluoro assault on the Australian Open, like the entire men’s draw had scored a group discount on Hypecolour t-shirts. If you were watching the game without sunglasses, chances are you’re still seeing the optometrist for retinal burn. 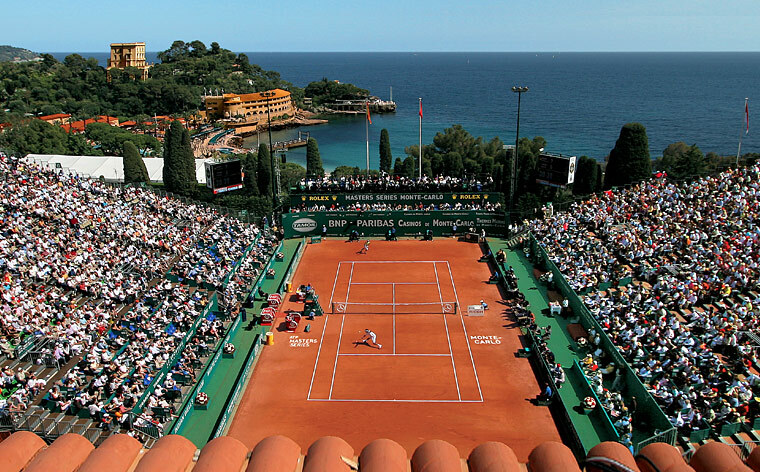 But the lads have stepped it up a notch for this week’s Monte Carlo Masters. Maybe it’s the excitement of the first clay tournament of the year and the sight of all that red dirt. Maybe it’s the exotic setting. Stunning, right? Maybe it’s the fact that Monte Carlo is dripping in wealth and extravagance – and surprisingly bad fashion sense. My most enduring memory of the place is a woman in her sixties decked out in a pink velour tracksuit, platform runners and bottle blonde hair. The crowning glory being the matching diamond chokers worn by her and her poodle. Or maybe the players have been getting fashion tips from golf pros. How else do you explain these shorts worn by Stan Wawrinka? Oh, and he also has a blue pair. 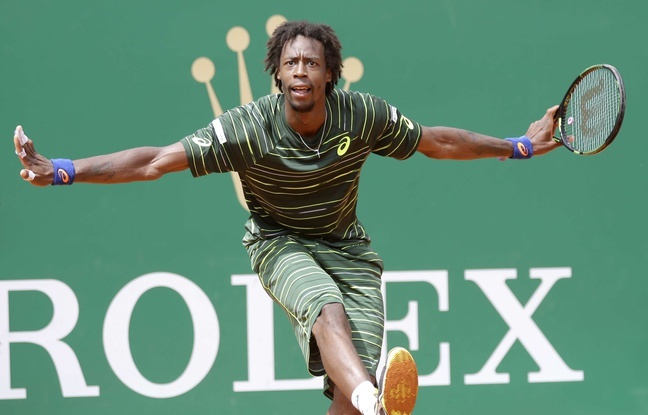 Gael Monfils took to the court in something dangerously close to a onesie. It worked in terms of putting Roger Federer off his game. It’s a new style I’ll call camouflage pyjamas. Which is fitting for someone of his on-court flamboyance. But it did remind me of this piece of fashion advice from Good Morning Vietnam.. Even Tomas Berdych, one of the more sedate players on the circuit, took a step on the wild side. Unless someone went all Pro Hart on him in the locker room. Rafa channelled Miami Vice. And even carried the turquoise-orange combination to his footwear. And this effort from Andreas Haider-Maurer is so close to tie-dye I broke into a spontaneous rendition of Age of Aquarius. At any rate, I’m excited to see where the fellas can take this new-found fashion free-for-all. Watch this space, I guess. But the usual solar eclipse warnings apply. Previous Post How do we build on the legacy of these two men? Real men wore white…and still got paid a fortune. (It’s a picture of Pete Sampras i have in my mind’s eye). These guys are turning into cat-walk models. Surely Rafa’s turquoise-orange number isn’t sold in mainstream sports retail? I like Stan’s golf shorts though. He just needs a shirt that actually matches. I always liked Roger’s white Wimbledon cardigan. Pure class.